Please check your email for your login information to access your product. Monitor changes to your D&B scores and ratings&ast; and help ensure you have the most up-to-date business credit information on your company. 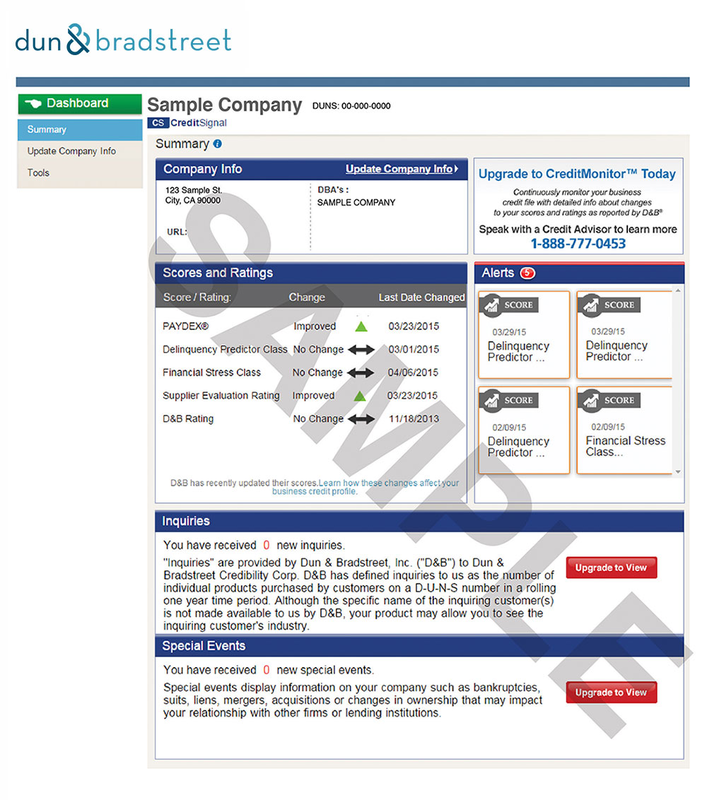 10 one-time business credit reports to evaluate other businesses.